Whether you’re a pro at hosting Thanksgiving or a first-timer, we’ve got you covered. We’ve created 21 delicious, healthy Thanksgiving recipes to choose from so you can prepare a healthy feast that will please even the pickiest eaters. Spending the holiday as a guest at someone else’s dinner? Bring one or more of these healthy dishes and watch this quick video from Autumn Calabrese that walks you through how to keep portion control in mind when plating your Thanksgiving meal. These healthy Thanksgiving recipes are lower in fat and calories than traditional holiday dishes, but it’s still important to keep your portions in check and focus on veggies more than starches and desserts. Pro tip: Check out these do’s and don’ts for filling your plate and our tips to avoid overeating throughout the holiday season. 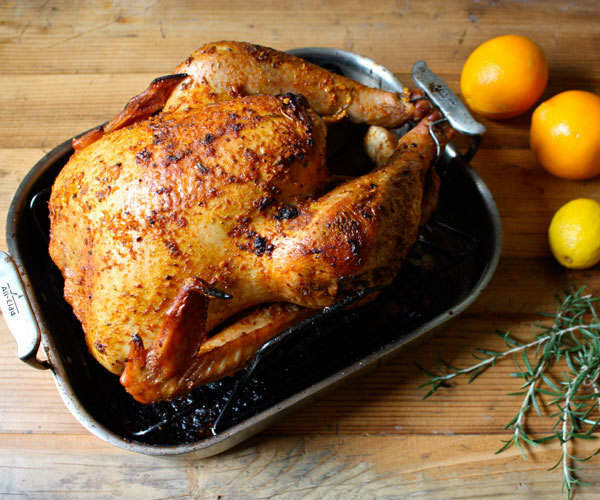 This roasted turkey is basted in a delicious citrus, garlic, and herb marinade that makes it extra juicy and elevates the flavor of your holiday bird. Get the recipe. Turkey is the main event, so it’s definitely not something you want to leave to chance. If you’ve been put in charge of the bird this year, then follow this recipe to make a flawless (and healthy) turkey. Get the recipe. This simple stuffing is loaded with sweet apples and cranberries and topped with pine nuts. 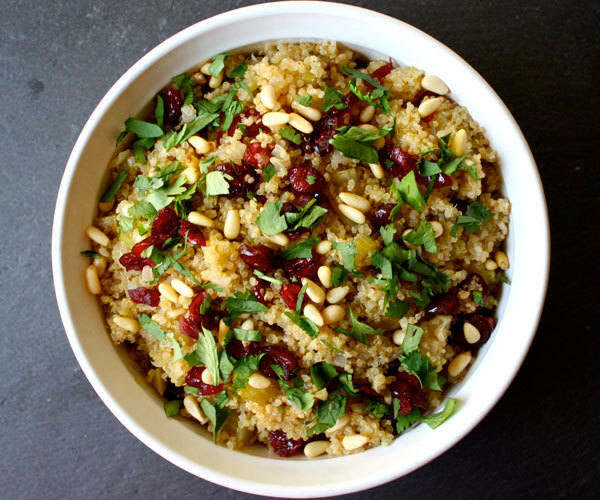 It tastes great warm or cold, and is an easy dish to make a day or two ahead of time! Get the recipe. Our healthier version of traditional turkey stuffing uses whole grain bread and is loaded with colorful veggies! Get the recipe. 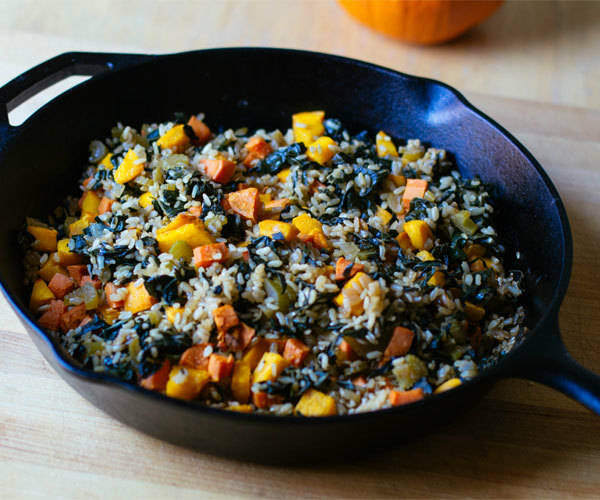 Instead of stuffing, how about this colorful rice pilaf that is packed with fall vegetables? Get the recipe. 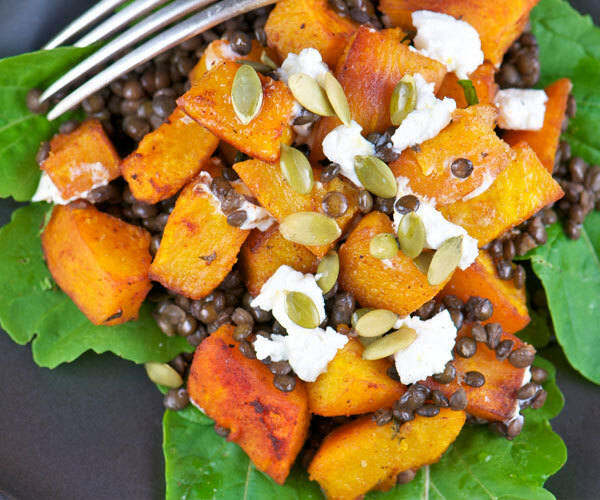 This hearty salad topped with lentils and fresh pumpkin is a perfect start to your holiday meal. In other seasons, replace pumpkin with sweet potato! Get the recipe. Enjoy these Brussels sprouts hot or cold. They develop a mellow nutty flavor that goes perfectly with sweet grapes. Get the recipe. We created a lighter version of the classic green bean casserole with mushrooms and crispy onions, and we think it tastes even better than the original! Get the recipe. Or skip the traditional bean casserole and keep your green beans clean and lean. 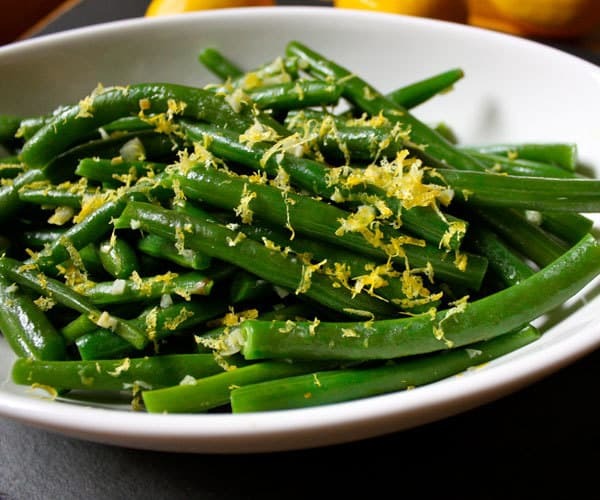 Lemon and thyme pair beautifully with green beans, and have bright flavors that will be a welcome change from all of the rich dishes on the table. Get the recipe. This twist on mashed potatoes is made with a non-starchy veggie, no cream and butter—and yet, it’s every bit as yummy as your traditional mashed potatoes. Get the recipe. Hold the marshmallows! By making a few substitutions to this classic side dish, we’ve made it healthier without sacrificing the flavor. Get the recipe. 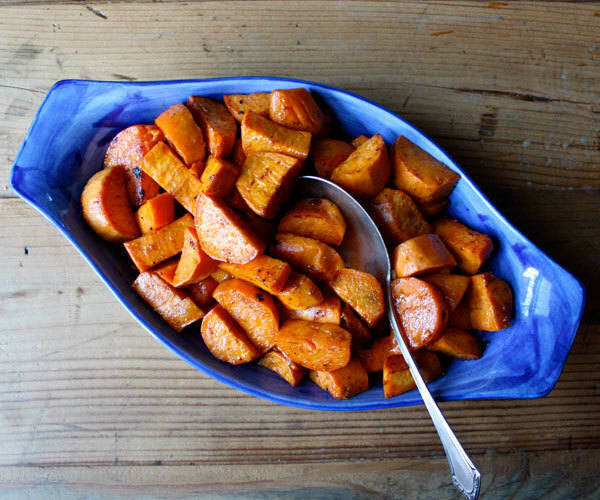 Yams and sweet potatoes are loaded with vitamins and fiber, and they taste so good! Roasting them with rosemary is any easy way to prepare them that will make your whole house smell delicious. Get the recipe. Curry powder gives traditional roasted cauliflower a flavor-makeover in this super healthy dish. Get the recipe. 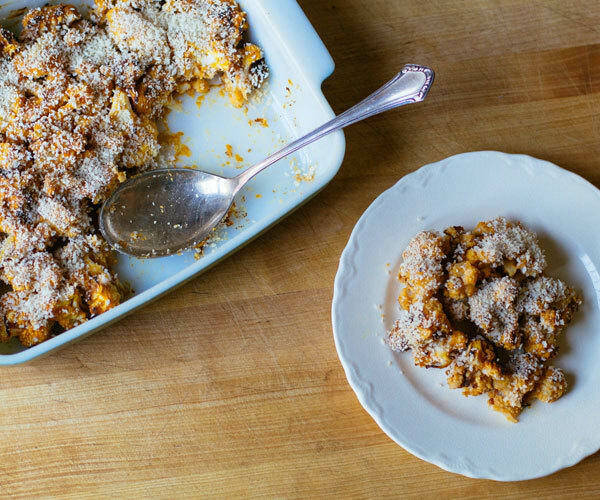 Our combination of cauliflower and cheesy pumpkin sauce has all the comfort of a creamy casserole without the fat! Get the recipe. 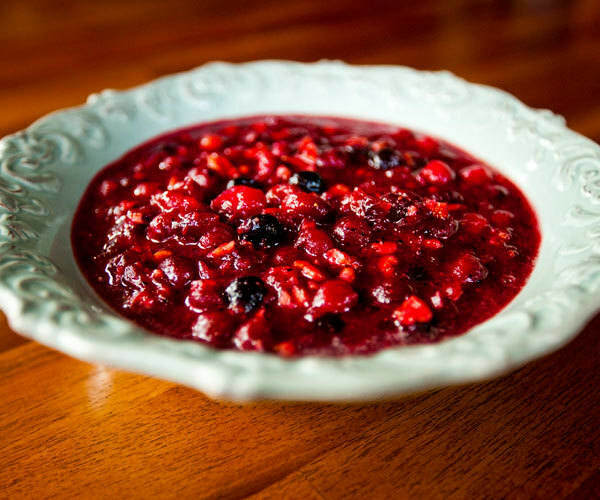 Most cranberry sauces are overloaded with sugar. Our version is refreshingly tart and sweetened with fruit juices and maple syrup. Get the recipe. 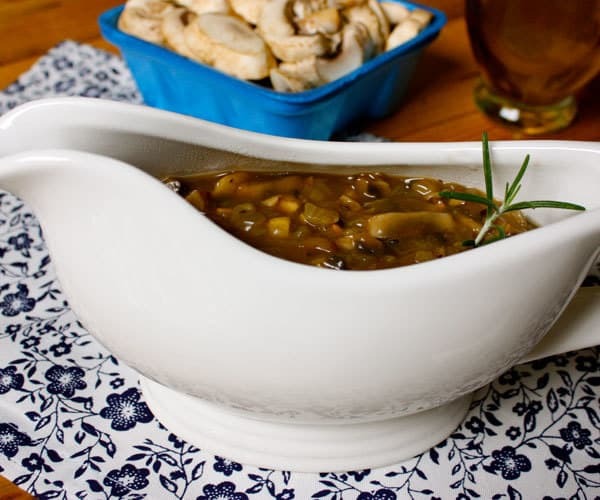 This flavorful vegan gravy is surprisingly rich and delicious! Get the recipe. There’s no need to swerve past the pumpkin pie or skip the flavorful gravy — for a lighter gravy on your Thanksgiving turkey, try this easy recipe made with garlic and mushrooms. Get the recipe. 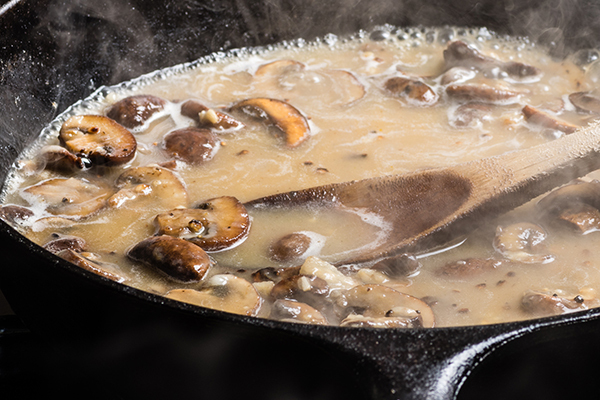 For a flavorful gravy that’s not laden with fat, try this one made with hearty mushrooms. It tastes great with turkey for Thanksgiving dinner, or on top of a steak. Get the recipe. With cinnamon, nutmeg, and pure pumpkin puree, this healthier version of pumpkin pie is sure to become a Thanksgiving favorite. Get the recipe. 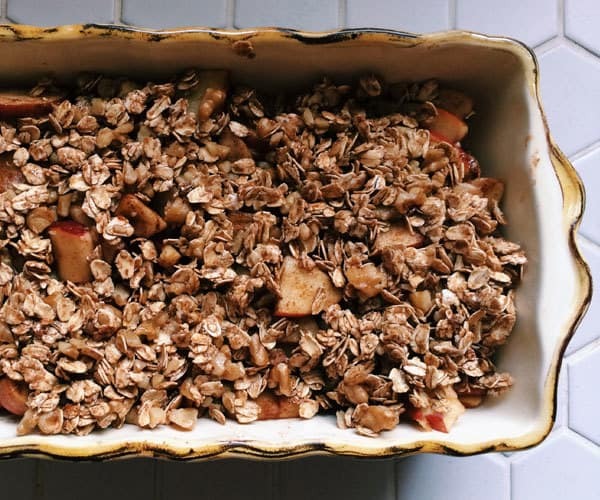 Instead of apple pie, how about serving this dessert, which features the rich flavor of baked apples, walnuts, oats, and a touch of maple syrup. Get the recipe. If you want to impress the in-laws and other guests this holiday season, then this is the dessert recipe you need. 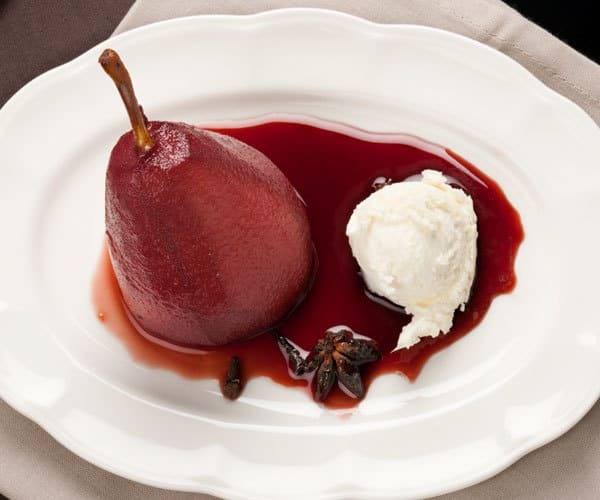 Red-wine poached pears with mascarpone sounds like a complicated dessert, but it’s actually easy to make and always a crowd pleaser. Get the recipe.